Andrew Fenton – Chief Information Officer, NHS Buckinghamshire and Oxfordshire Cluster. I worked closely with Neil on a challenging assignment in the NHS during which he managed the client extremely well in a politically difficult environment and delivered a thorough and well thought through report. Neil provided honest and professional feedback to the client managing the contradicting views of a range of stakeholders extremely well. I look forward to working with Neil again in the future. Phil Trickey – Director, Corex. Neil has been a pleasure to work with over the past few months. He has been engaged in some organisational development work associated with the development of our informatics function and in the development of our programme management capacity and capability. This underpinning work is fundamental to our ability to implement sustainable service transformation. Neil has been able to complete the work within the time frames, with an approach which brings professionalism, expertise, unobtrusive but discerning analysis and a manner which has engaged all the necessary stakeholders. We will miss his input when his work with us ends – he feels like a member of the team. Jo Davies – Director of Workforce and OD, Powys Teaching Health Board. Neil is a very capable and articulate consultant. He is a consummate relationship builder and has an ability to quickly grasp what is most important and work collaboratively to achieve successful outcomes. His attention to detail aligned with his strategic awareness make him a formidable proponent of the modernising capability of information technology. Allied to this he is a charming and persuasive individual who works hard to bring people, ideas and technology together. Dali Jandu – Assistant Director of ICT, Sandwell PCT, CIO Black Country Cluster. Neil has been invaluable in helping us deliver our strategic objectives in the face of major upheaval and uncertainty. He has brought his extensive experience to the table and provided useful solutions for our immediate problems as well as helping us formulate our longer term strategy. I have been very impressed with the way Neil has grasped the objectives quickly, and been able to integrate into the Senior Management Team to provide support and leadership for the whole organisation. Catherine Dampney – Associate Director of Technology Services and Support, Central Southern Commissioning Support Unit. We engaged with Neil at a considerably challenging time for our organisation. His abilities to simplify complex circumstances, and to create a sense of certainty with the uncertain, gave us a huge degree of confidence in the building and execution of our plans. His involvement at all levels, from strategic to on-the-ground, has been crucial to our development. Considered as one of the team, Neil was an absolute pleasure to work with and as a result of his support, we are now on a very secure footing to build our service further. Andy Ferrari – Informatics Locality Lead, Central Southern Commissioning Support Unit. 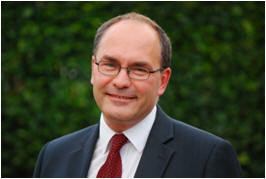 Bruce Whitear – Interim Director of Planning, Powys Teaching Health Board. in using Neil Stevens Consulting in the future. Rob Howorth – Assistant Director, Information Services, Countess of Chester Hospital NHS Foundation Trust. If you would like to provide us with any feedback or thoughts on any work we’ve done for you in the past, Contact Us here.